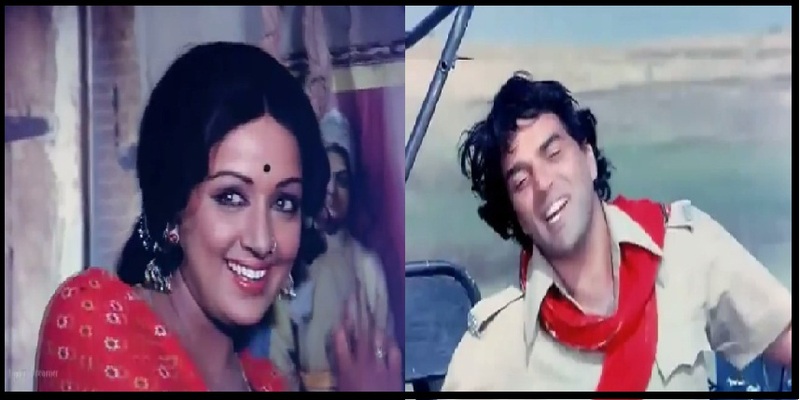 Main Jat Yamla Pagla Deewana..a..a.. FROM Pratiggya (1975)..
Day 254 -Main Jat Yamla Pagla Deewana..a..a.. FROM Pratiggya (1975)..
After few serious classy songs,it’s time to have one total entertaining song.. This is a Dharam-Hema song.. They say that Dharamji was given a free hand for this song.. He could dance and perform in which-ever way he liked..
And see the result..A total FUN..